As it marks the opening of its new season on Oct. 15 with concerts in New York and Denver, the Chamber Music Society of Lincoln Center stands apart from most other arts organizations. While many orchestras, concert series and opera companies across the U.S.—from the New York City Opera to the Syracuse Symphony—have reduced their presence or shut down entirely, the venerable Chamber Music Society has been expanding its activities at a dizzying pace. 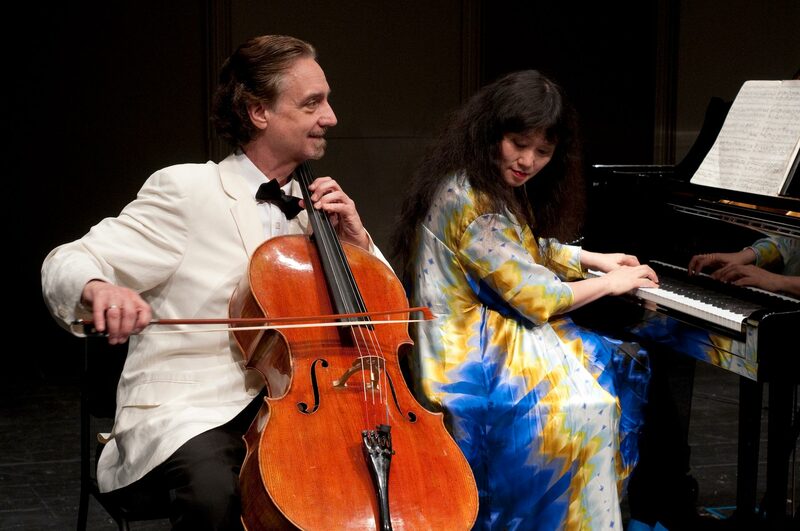 Since taking over the organization in 2004, the husband and wife team of cellist David Finckel and pianist Wu Han has forged it into an unstoppable entity—an exploding star in the musical firmament. Its directors seem incapable of anything but success. Society’s ensembles featured 84 artists from 12 countries; today, there are 120 artists from 18 countries. Over the past five years their endowment has risen to $37 million from $31 million; contributor income is up 88%, and subscription sales have increased by 31%. That’s only part of the story. Broadening the Society’s reach meant creating new offerings, including new- music concerts and late-night programs; establishing eight residencies at locations from Boston, Chicago and Grand Rapids, Mich., to rural Kentucky and Georgia; producing three European tours, two tours to East Asia, and two cruises; and founding a Chamber Music School in South Korea sponsored by LG Corp. And let’s not forget the organization’s growing output of recordings, radio productions and live streams. What is the secret of this success? And can these accomplishments be replicated? These questions were foremost on my mind as I sat in the Saratoga Performing Arts Center’s Little Theater on Aug. 26 in anticipation of one of the organization’s summer satellite concerts. Before the music began, Marcia White, SPAC’s president and executive director, took to the stage. The introduction of the Chamber Music Society to the center’s summer offerings, she told the audience, had produced an increase in attendance of over 50%. As it turned out, what I saw and heard at the event provided some clues as to why. Those comments may appear innocuous, but they suggested important aspects of what the Chamber Music Society does. First lesson: Make patrons feel welcome—not by talking down to them, but by establishing that you care about both the music and its listeners. Once the concert was under way, another aspect of the group’s success became evident. From the first notes of the Beethoven, there was an impeccable sense of ensemble, with carefully matched articulations and balanced dynamics. Ms. Wu’s piano playing was simply gorgeous. The Tsontakis had playful, rhythmically complex effects that kept you on the edge of your seat. (“These young players are fearless!” the composer exclaimed after the performance.) The Brahms, filled with pizzicato textures and creamy harmonies, was spellbinding. Mr. Isacoff’s latest book is “A Natural History of the Piano” (Knopf/Vintage).